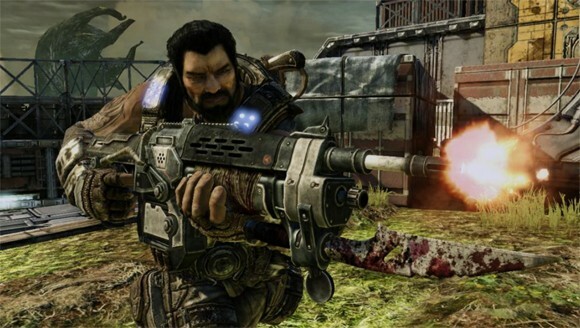 Gears Of War 4 Dev: "We Wanted To Push Visuals In Campaign" & "Push Responsiveness In Multiplayer"
Rod Fergusson, studio head at The Coalition, talks about the Gears of War 4 framerate in the game's campaign and multiplayer mode. only time will tell.. but for now i hope we get a good polished game at launch. It looks like it will be so far. Everything they have been saying seems too good to be true. What about more innovation and taking more risks with the franchise than playing it safe. I guess the fans want if it ain't broken no need to fix. One more day to check out the beta. Have you played the campaign yet?Maybe they are takings risks there. I remember Spencer saying that the next Gears must innovate. Guess it won't. ^ Spencer is full of sht! @Shadow - How did taken more risk work out for Killzone and Resistance? Heck even Naughty Dog got a little bit of a backlash for changing up the multiplayer mechanics in Uncharted 3. If its not broken don't try to change or fix it. I love how gamers come on here and say how it should be. Truth is, a developer will never please everyone all of the time and with gamers you'll never please 70% any of the time. Gamers have been told my game journalists that they should get what they want. Lots of risk already for a studio that needs to prove itself. However, it isn't apparent to people that don't play it. All they see is, "it is shooting therefore it must be the same game!" Just give me Horde 3.0 and I'll be just fine! This devs comment pretty much confirms my doubts and visual impression. I got a feeling this game will end up not meeting the hype and expectations, I mean, it's 7 months away and they are already hyping the crao out of it! Those devs' experience is kind of worrying. And now this comment. That game looks horrible in multiplayer!! You can always play something else if not to your liking. You have the gift of seeing what you want to see,such a try hard. Well thats a shame isnt it. Well you can play something else seeing as visuals are so incredibly important to you. This statement doesnt confirm any doubts yet because I understand what an alpha is. Its funny how you pick this sentiment to confirm your doubts over their previous statements about the alpha state of the beta. I just want to play my boy JD (Liam Mcintyre is love) through the whole beta. Sadly can't pre select... But when i do get JD in matches I'm going to let out a high pitch scream and go hard. The only thing I don't understand is why are they going 1080p for mp if they are less concerned w/ visuals there? I feel like they'd have been better off going dynamic or going 720-900p, then responsiveness could only increase, and they'd be able to up things like visuals, dynamic elements, player count, etc. I can definitely get behind the statement he made though. Either way I don't see any real issues w/ the visuals in the mp, because fast paced competitive modes don't allow for slowing down and taking in the scenery anyway...the colors are bright, the executions are brutal and the game looks like fast paced fun, that's all it really needs at this point I'd say. That's what I was thinking the reasoning would be too, but they shouldn't be beholden to their detractors. They should just make the best game possible for their fanbase. No need to cater to a group that would not only be critical of any move they make regardless of intent, but would also not be buying their game either way. Performance & graphical effects are a lot more important than resolution. If you can have both, then by all means go 1080, but if the other stuff could be even better w/o it, the resolution should take a back seat. I dont understand dynamic resolution, that is to say I dont understand why they use it. If your build cant handle 1080p, dont use it. Dont have it switch on the fly just so you can put that 1080p on the box and give variable results. Drop back to 900p and make it solid. Same goes for framerate. If its not locked on 60fps at least 90% of the time with minimal drops, then set it to 30fps and lock it solid. Consistency is more important than frequency. Yeah I'm not sure on dynamic resolution either because to my knowledge I've never played anything that uses it to actually judge on it. I've seen tech breakdowns say that it works well but the jury's out for me personally until I get my own eyes on it. I feel like if the spread is as wide as 720 to 1080 during gameplay itself then it'd have to be fairly noticeable but I'd have to see it in action, and I'd assume during a twitch based mp mode that it might be more likely to go unnoticed? I don't think it'd be a great choice for sp for sure but mp may make more sense, but I agree it's probably best to lock it where they are confident. Right there with you on frame rate too..consistency is key. I can tell the difference between 30 & 60 but I don't necessarily need 60 over 30, just a solid locked frame rate is fine by me wherever it lands. It becomes a part of the feel of the game for me, so as long as it's stable that's all that matters to me. I do agree with the original intent from Rod though, frame rate is key in mp, graphics are key in sp. That said I'd rather have a more graphically interesting game w/ great physics, animations, particles, dynamic weather patterns, etc. over 1080 if those things are sacrificed to achieve it. As mark_parch said, if it ain't 1080p and especially anything MS, it gets massive hate. Unfortunately the "resolution fever" is hitting the masses and now they successfully made it hold back gaming. Congrats! Why would you want fixed resolution? That means, the poorest image quality at all times. Why not have the highest image quality possible at all times? Ideally we would drop the resolution requirement and focus on pixel quality i.e. where it matters. If it's fixed 1080p which should be the standard for exclusives this gen for both ps4 and xbox one how would you have poor image quality? Dynamic resolution is pointless.. 1080p when theres no action on screen only to drop when it gets intense to me only highlights the short comings of said console. Sounds completely reasonable to me. Different modes have different goals. Any game can be 60fps, but it comes at the cost of graphics. Any game can have good graphics, but it comes at the cost of framerate. If I have a 100k bricks, I can build the schoolhouse, but it might mean I cant finish the church. Whatever you use in games, takes away from another area. Its call prioritizing and all devs have to do it. Yeah, you get it. You have a certain amount of resources to work with and you have to decide how best to use them, depending on what your goal is. I also agree with your comment above where you were taking about consistency being key. I think devs need to consider what the constraints are and work within them, always holding consistency as a priority. I think of it this way. You have a racing game, its 30fps. You come into a corner and you press turn. It takes 33/1000th of a second for the game to register you moving the stick and then you turn the corner making maybe 20 or 30 micro adjustments through the whole corner to keep you in the perfect line. This is all fine and it works because the framerate is steady and you know from previous laps when you have to turn and you get a consistent response from the controller through the game, and you see the result on your TV. Then you have another racing game. Its 60fps or so it says so on the box. In reality its anywhere from 45 to 60 and occasionally even down to 25. This is not consistent. In fact its the exact opposite. Its fluctuating. You come to a corner on this "60fps" racer and you press turn in the exact same spot at the exact same speed as you did the lap before. Only this time the framerate has dipped and it takes a little longer than you expected for the car to start swinging around. Then it takes a little while for you to register youre out of position and you have to react to this. You dont know youre out of shape until youve seen it on the TV. All the little micro adjustments you made with a smooth framerate suddenly feel like youre swerving left to right on an icy road because the on screen car is not reacting to how you thought it would when you pushed the stick into the turn. A rock solid 60fps is better than a rock solid 30fps. Im not here to argue that. But rock solid 60fps games are few and far between on consoles and 30 is a lot more manageable for the hardware. 30 always is better than 60 sometimes. Thats why I say consistency is better than frequency. From the e3 demo to the mp beta, every time i see Gears 4 it looks terrible. The visuals are last gen, it hardly looks better than Gears 3. 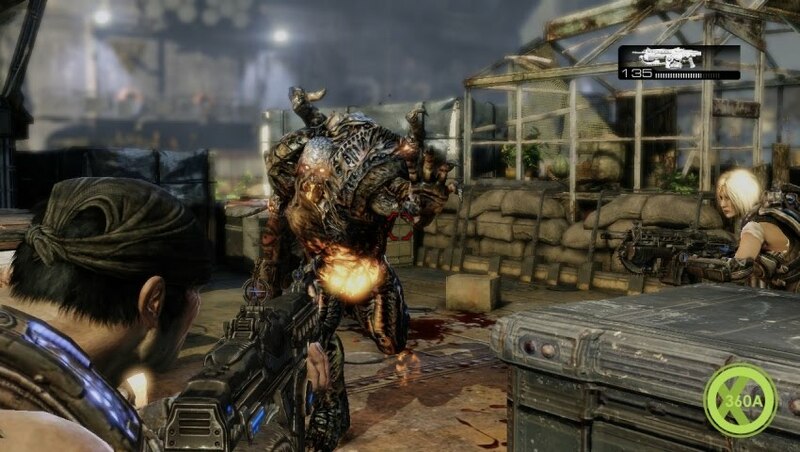 The gameplay is a poor facsimile of the original Gears, it's completely uninspired and the blood fx and fidelity are atrocious. They added 1 new weapon? Really? I am taken aback by how mediocre Gears 4 looks. Epic Games always pushed the visuals and visceral gameplay to a place very few could go. The Coalition is not pushing visuals nor gameplay. Did you miss the articles where Rod said this game is truely and alpha build for the beta? This is a mechanics/server beta, not a representation of the final build. The final build is going to look much better then this alpha build beta. Relax. Just got my Gears of War beta code. Of course he says this now after the public reaction of the beta. Graphics are extremely poor in the multiplayer. The MP is anything but poor. Take off the fanboy goggles. Gears of War 3 beta was way better looking regardless of a 60 fps framerate in Gears of War 4. And that beta came out in April too. Talking about fanboy goggles get outta here with that trash. It looks about the same as Gears 3. Just look at this guy from ign who played it early. If you think those graphics are good then you are the one with the fanboy googles. It's a valid complain tho the gameplay is superb. All pushing for 60fps, at the expense of looking worse than their predecessors. All those games play great, but I dont buy a new console for 2009 graphics. WakeNbake, every numbered Forza is 60fps, and starting with Forza 2 physics runs at 360 fps as well. Quit trolling. Also, Gears MP is in Pre-Alpha so it's not expected to look like that come launch day. 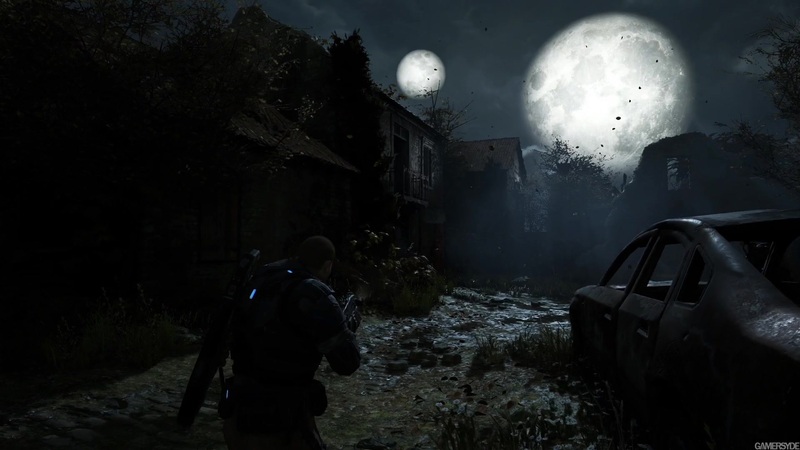 This screen is actually from the Gears 3 beta. It will be better on PC. Most likely. Is it already announced or are they going the same Route with it than QB? With all those hackers/aimbots? NO!!! What about "pre-alpha" build do you guys not understand? When it's called a beta. @arabiensoldier So when The Division released a demo named a "beta", was it and the countless other games that do the same still a beta? The only reason it's called a beta is because of the easy marketing behind it since so many games do it now. The difference is that the studio head has confirmed it to be a pre-alpha build. I don't understand why this is so hard to comprehend. "They should be ashamed of themselves"
This is trolling, right? Because if that's honestly what you think then that's extremely sad for you. Sony fanboy patrol is working overtime to trash gear lately. Smells like fear. I'm a Sony fanboy now I see. Get outta here with the nonsense. I haven't called anyone names in this entire thread. I don't much care. When you suggest that an entire dev team should be "ashamed of themselves" for their efforts you're just pathetic. No two ways about it. [email protected]: no but thats not a vocal minority. They are getting trashed nearly everywhere these articles Pop Up. 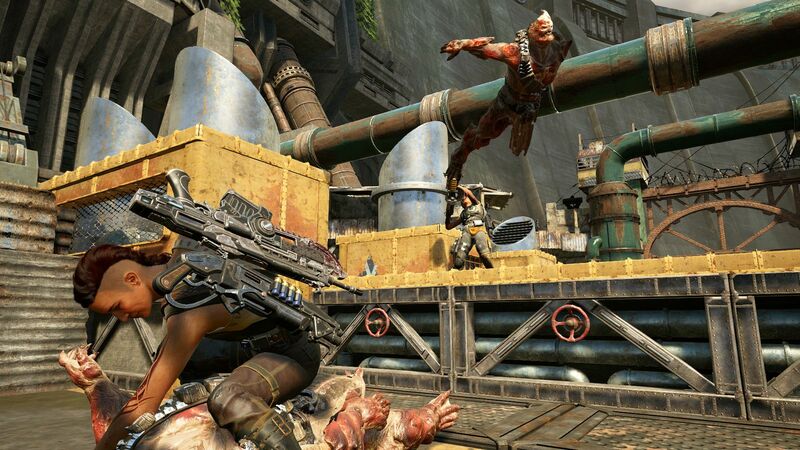 Let's just hope for the sake of the game that it all turns out to be great in the end otherwise there will soon not much left of the coalition and the Gears Franchise. So critism is good but don't get to Personal on neither side. I'm not so deluded to believe that an n4g mouth breather trying to shame hardworking developers will result in a better game. I think that they should be commended for pushing for 60 fps at the least in multiplayer. Same for ND with Uncharted 4. Its a preAlpha build...please just wait until the final release before talking so much negativity. Yea the graphics are bad right now but it is alpha...so its kinda expected. The grfx are bad, ur right. It looks last gen. Normally Gears games are some of the most impressive looking games in the industry. I guess the loss of Epic Games is more noticeable than ppl expected. Don't stress it man. Rod already said in an interview before the beta, well before it, this beta is an ACTUAL beta, not a demo like many of the betas in the last few years have been. This is in no way a final depiction of how the game will look on MP. He also said it was in the alpha stage for this beta, so it's clearly not going to look like it will 7 months from now. Lastly, look at how well they did with the Ultimate Edition. No way it will look worse then that. I think people are so skewed from developers giving "betas" when they are really final build demos that when you see a true beta, you panic. Google it, you'll see Rod saying what I said above. I'm not sure but I still have hope. But I doubt that it can achive that top 3 goal of yours. For last-gen standards looks good. Not for this gen for now. You are aware this is a prealpha build for the beta, right? Do people really expect the final build presentation with 7 months till launch?! Don't much care about graphics. It's the gameplay that looks dated to me. They didn't add any new mechanics that are dramatically different. They could of done tons of stuff not affecting the core game play in one awesome return for gears of War 4. But they settle for remaking gears of War 3.5 for the multiplayer with gears of War 1 shotgun tweaks. Even the maps themselves have no twist to them.